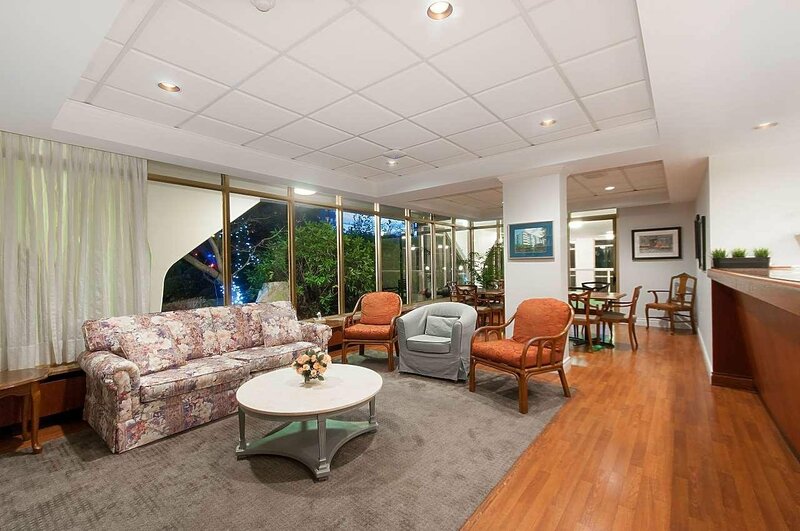 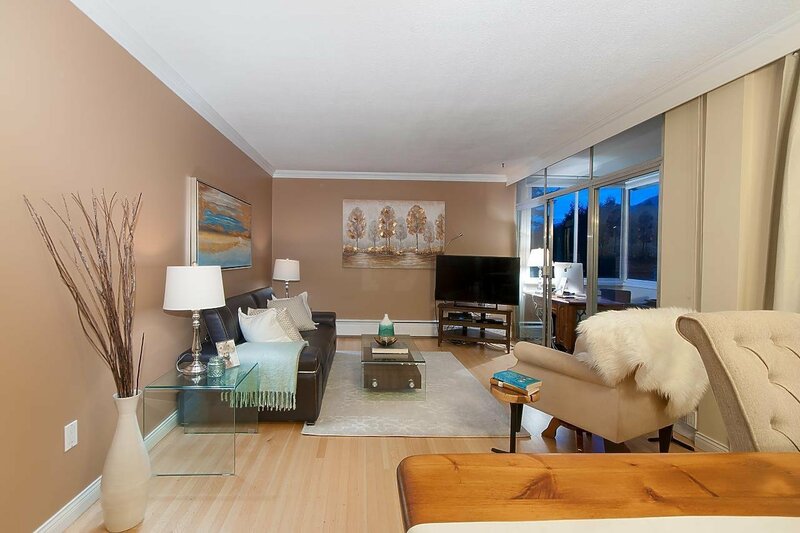 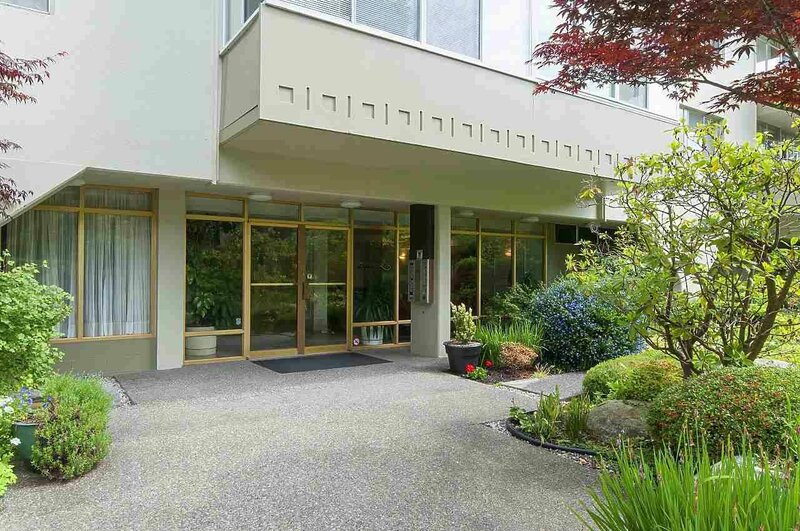 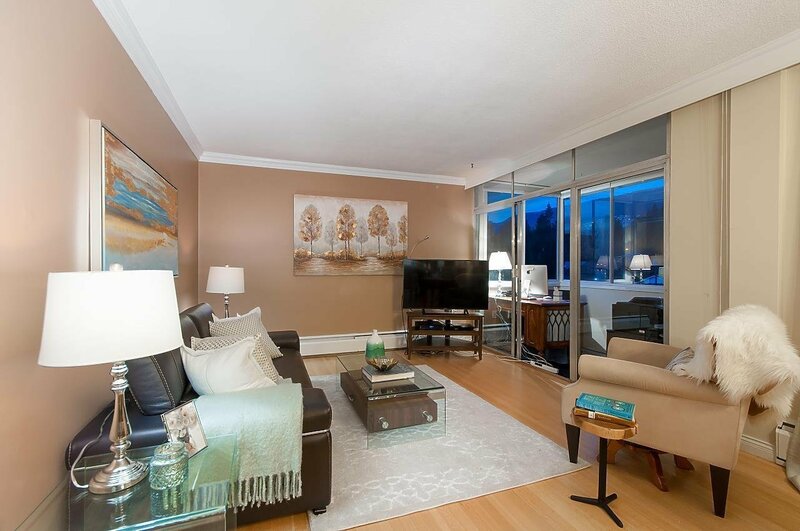 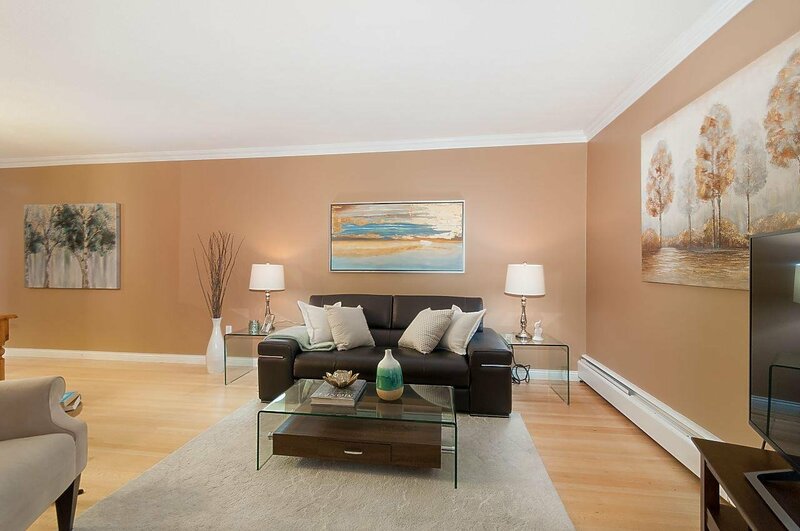 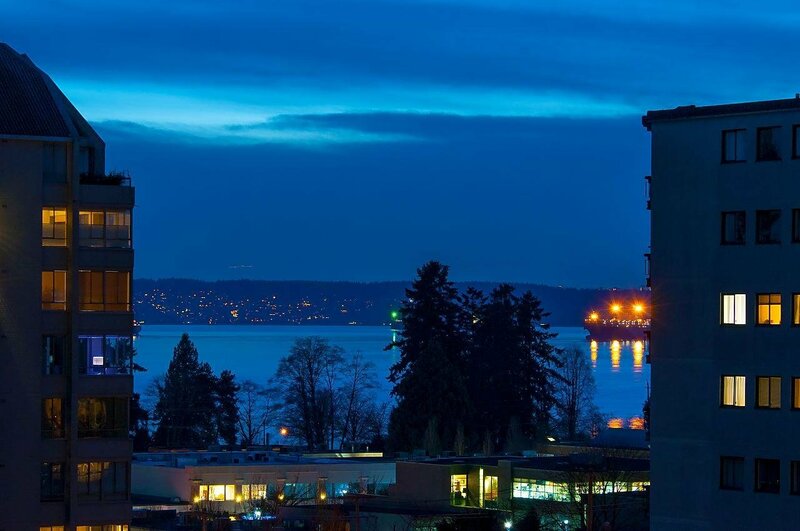 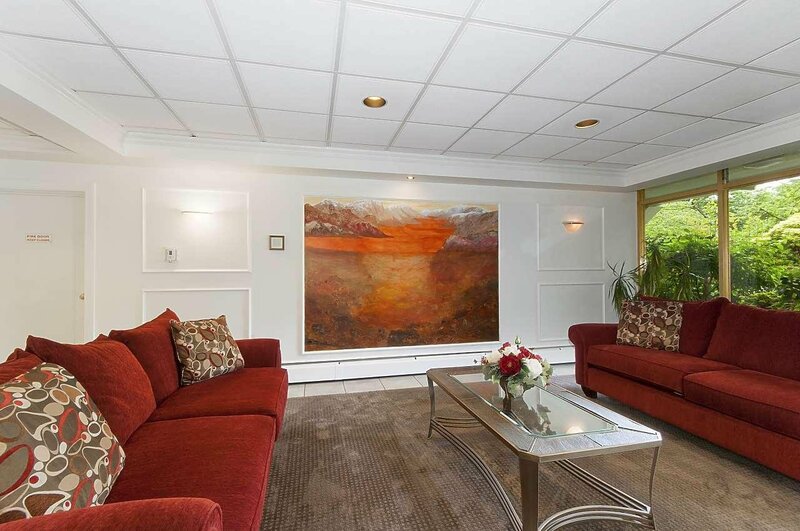 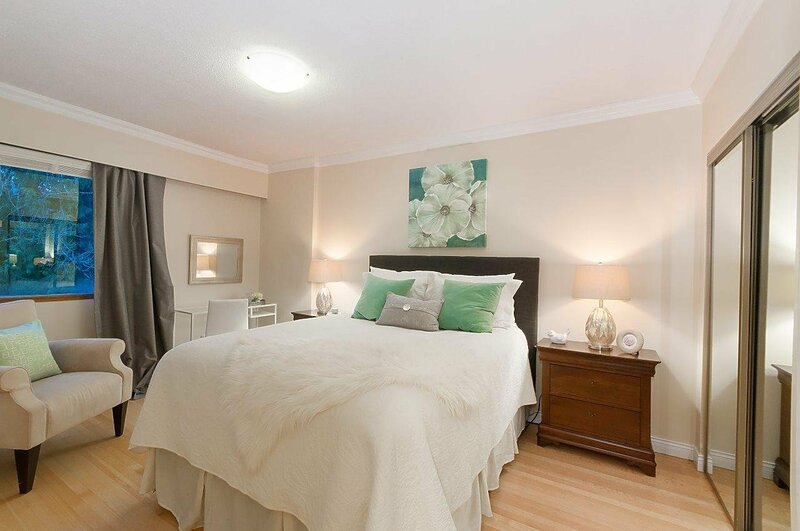 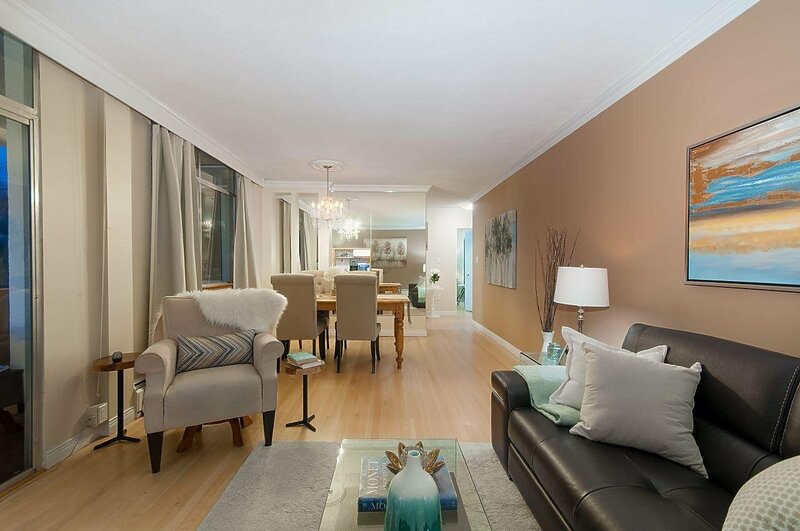 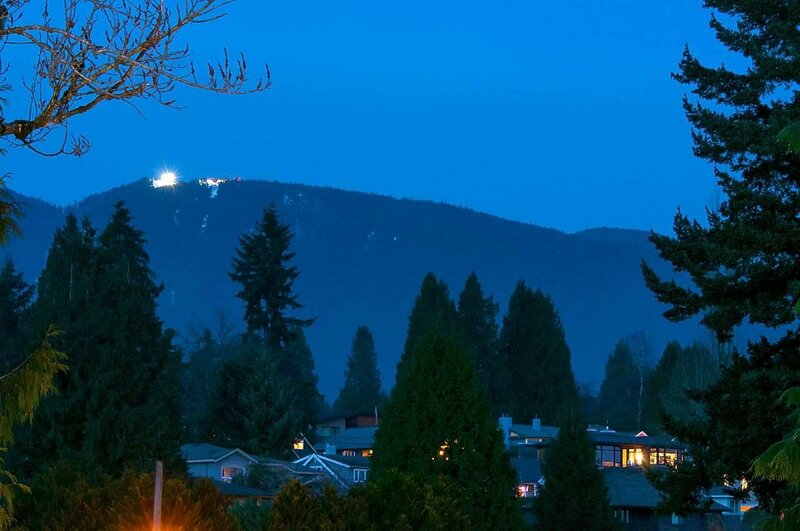 PRIME AMBLESIDE-NW CORNER suite in the desirable OCEANBROOK just blocks to the waterfront. 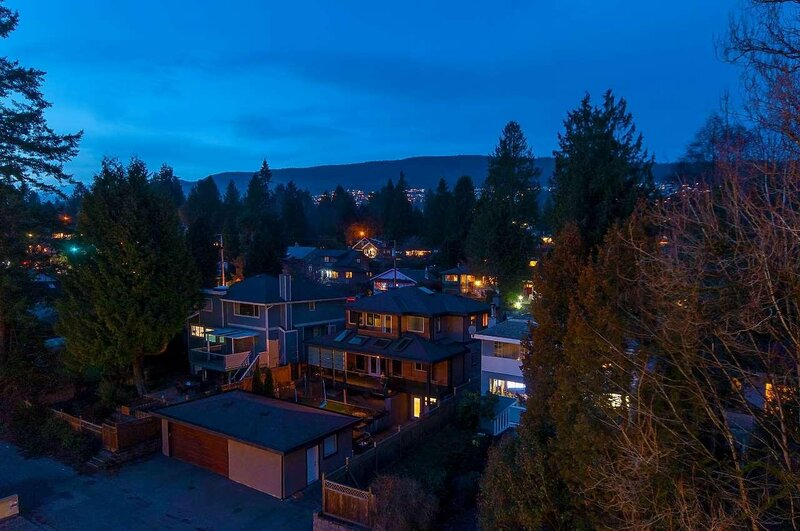 This lovely, bright home offers a treed outlook with mountain and partial water views, and features wood floors, lots of closet space and a spacious bedroom. 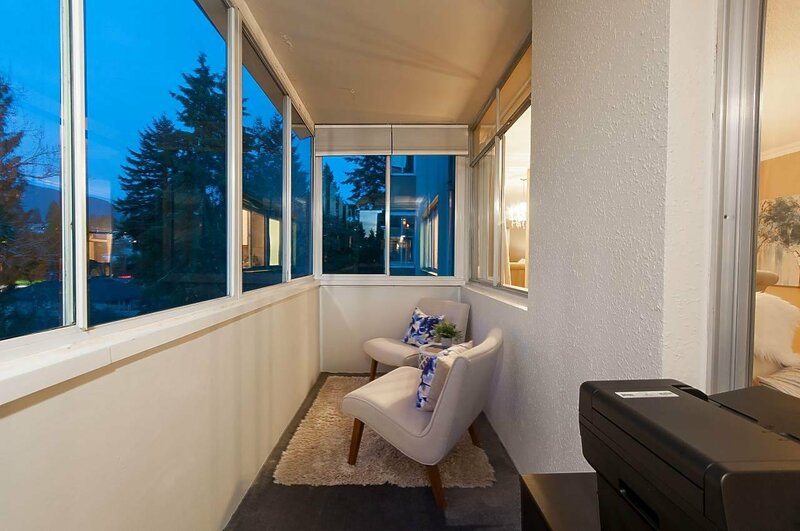 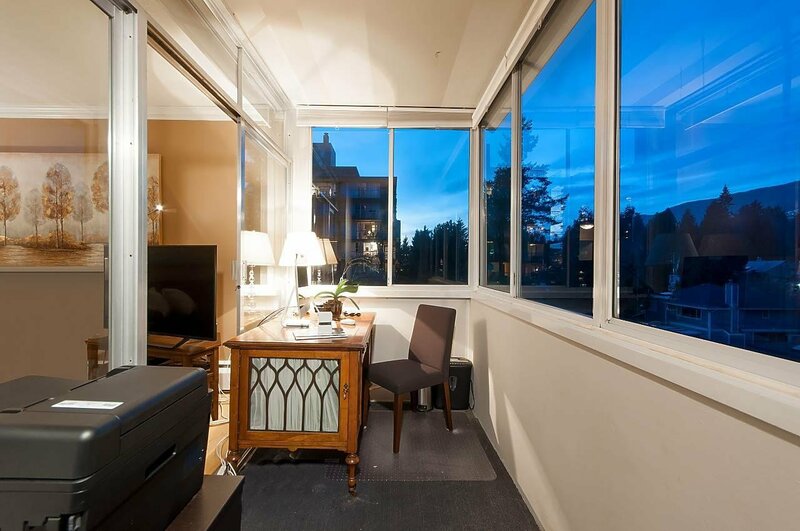 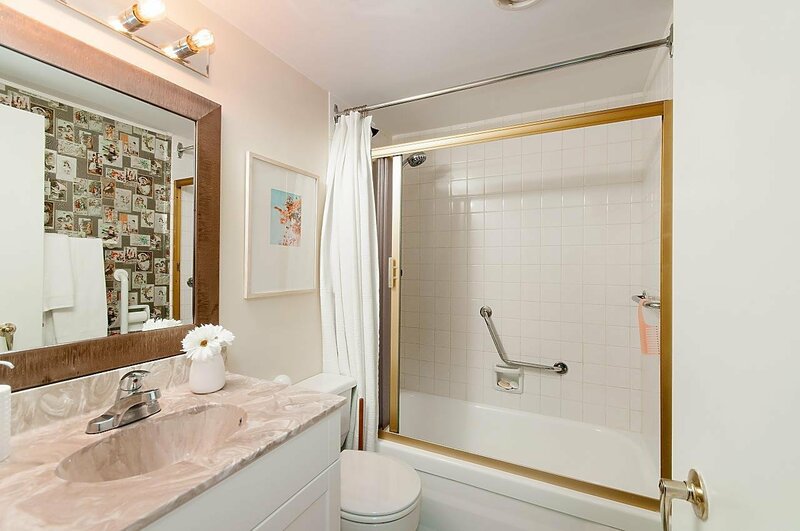 One of the largest 1 bedroom plans in the building with approximately 820 square feet of living space including the enclosed solarium which makes a great den or home office. 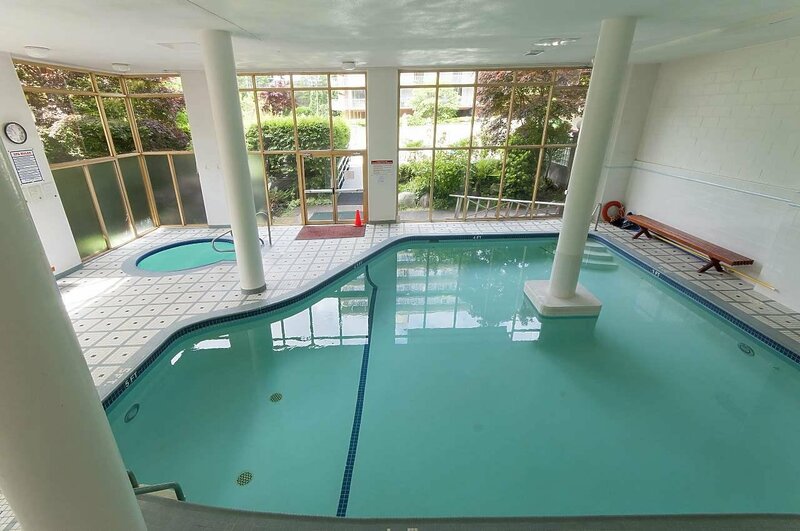 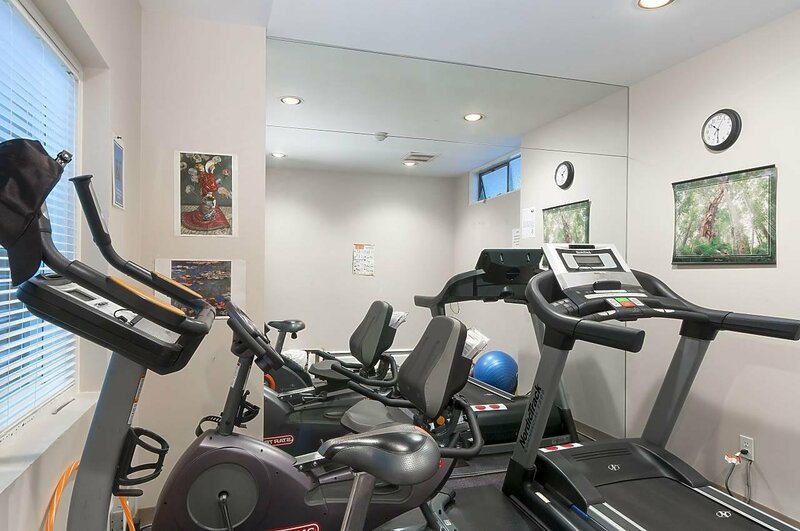 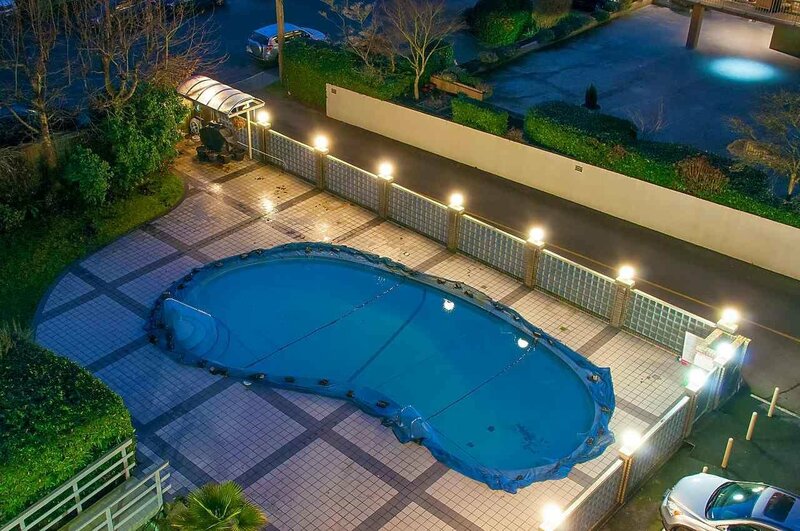 Enjoy an unbeatable lifestyle here with an indoor and outdoor pool, hot tub, sauna, gym, party room, caretaker and free laundry. 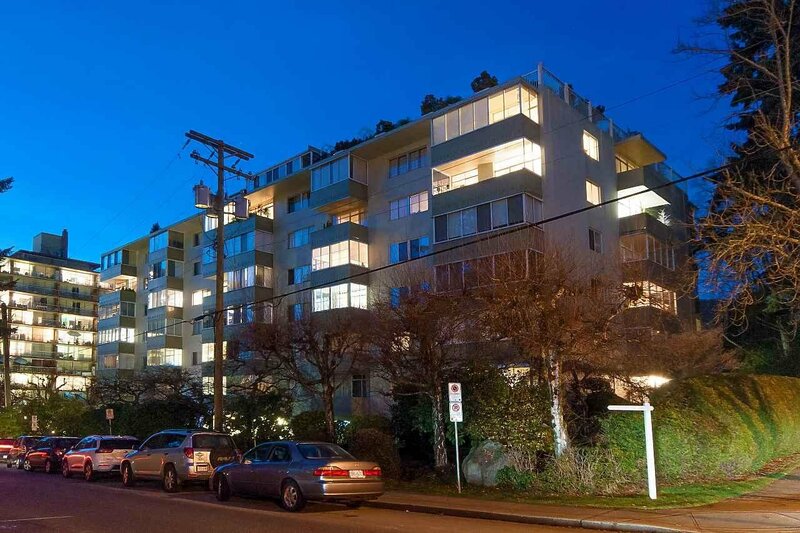 You are just steps to transit, shopping, restaurants, the beach, and the Seawall. 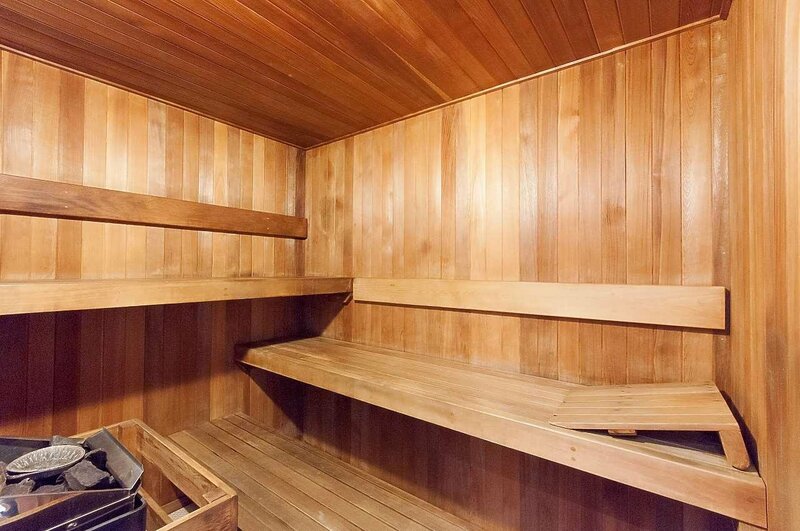 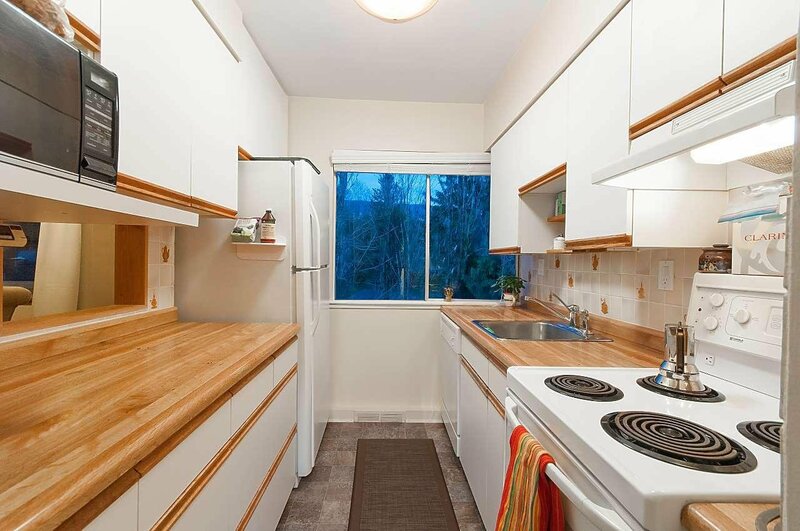 The maintenance fees include cable, heat, hot water, laundry, a caretaker and property taxes.